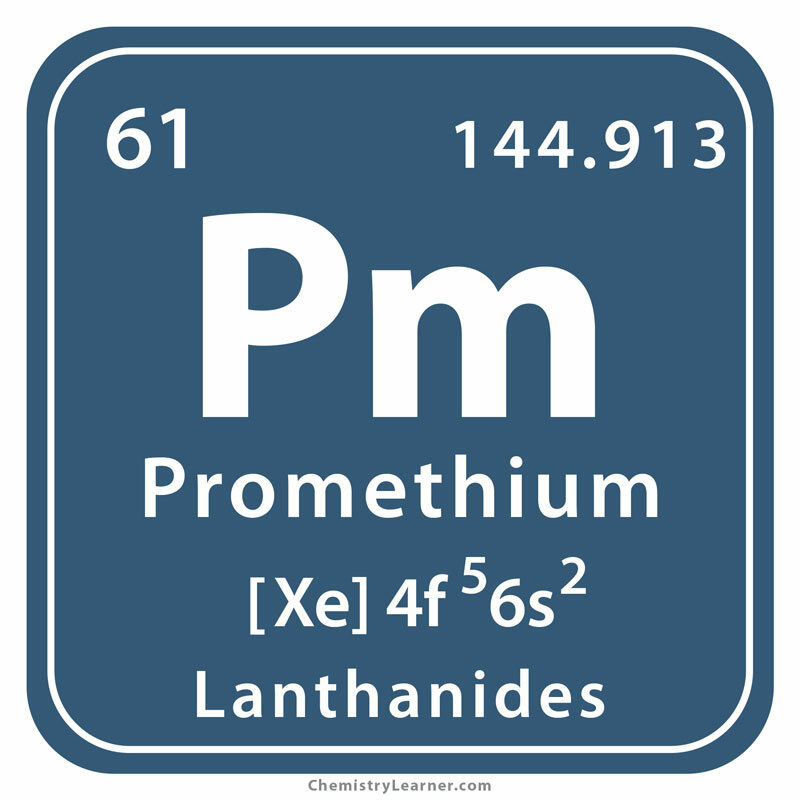 Promethium (pronounced as pro-MEE-thee-em) is a radioactive metal with the chemical symbol Pm, belonging to the family of lanthanides as it does not exist naturally in the earth’s crust [1, 3]. 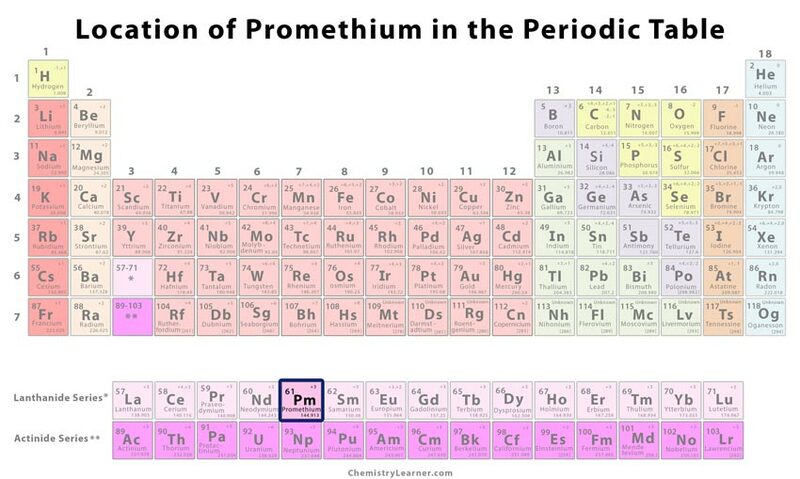 It has twenty-nine isotopes with mass numbers ranging from 130 to 158 of which the most stable one is promethium-145 having a half-life of 17.7 years [2, 4]. 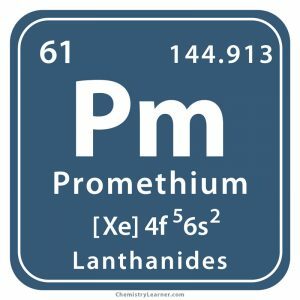 Origin of its Name: Promethium got its name from Prometheus, the Greek mythological titan who gifted fire to the human race after stealing it from the Gods . Who Discovered it: Jacob .A. Marinsky, Charles D. Coryell, and Lawrence E. Glendenin were its discoverers. 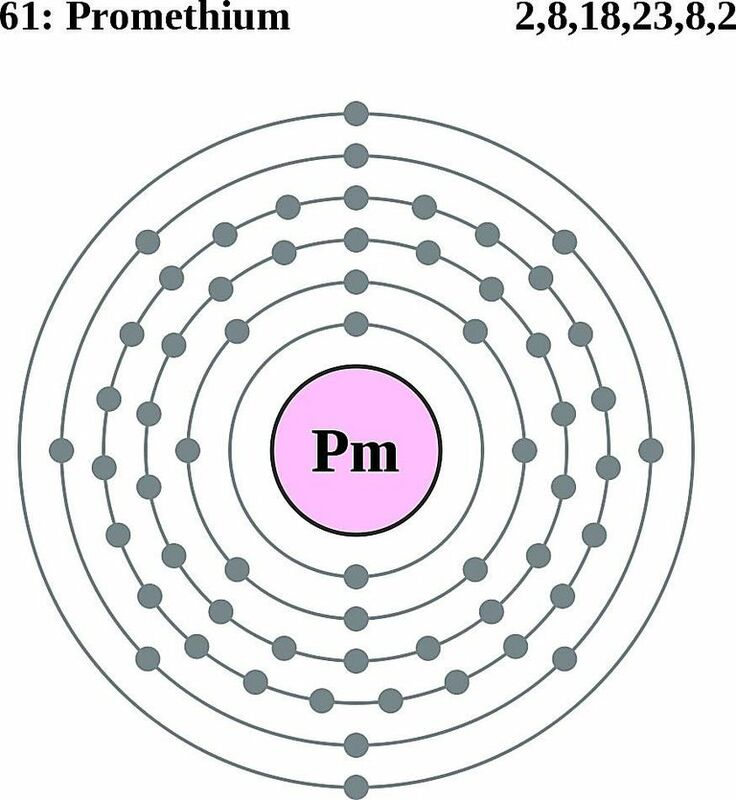 Several attempts were believed to be made to find the existence of the new element as the well-known Czech chemist, Bohuslav Brauner speculated the possibility of another element between neodymium and samarium. In 1939, at the University of California, a 60-inch cyclotron was used for the same purpose. However, nothing was proved . It was only in 1945 when Marinsky, Coryell, and Glendenin at the Oak Ridge, Tennessee used ion-exchange chromatography to separate the new element from the fission products of uranium fuel from a nuclear reactor . 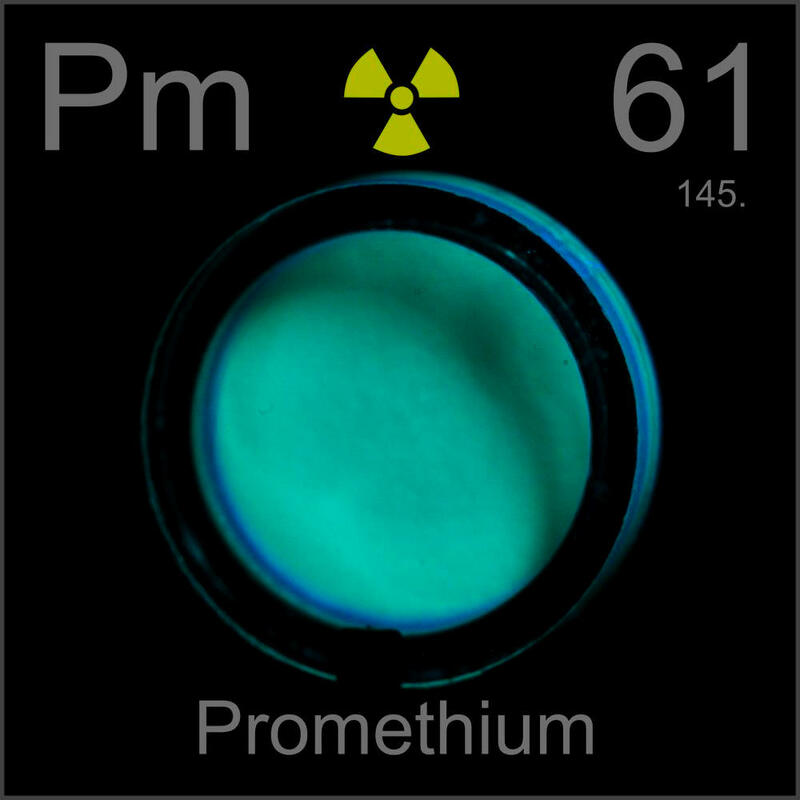 The beta particles generated as a result of radioactive decay of promethium are used to make phosphor give off light that when converted into electricity by a solar cell provides power to radios, pacemakers, and guided missiles [1, 2]. It can be obtained from the byproducts of uranium fission . Promethium-147 is produced by bombarding neodymium-146 with neutrons through a chain of decays . The radioactive metal is believed to be present in the star of the Andromeda constellation . 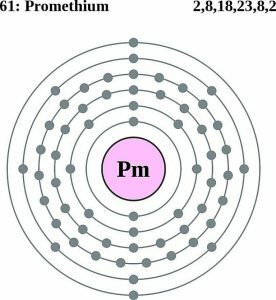 Since the utility of the metal is based on its radioactive decay, it’s estimated to cost $ 0.5 per Curie (3.7 x 1010 decays per second).